For each app we build we generate a QR code that can be used in your marketing materials. The QR code redirects users depending on the type of device they are using. If they are using a phone that supports the app the QR code is associated with, they will be taken to the app store to the exact page where they can download the app. If they are on an unsupported device they will be shown a webpage by scanning the QR Code. 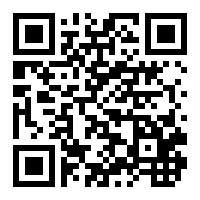 The below QR code was generated for AgPriceBook which we developed for Farmers of North America. If you scan the following QR code on your iPhone or Android device (the two platforms this app supports) it will take you to the app store where you are able to download that particular app. If you are on an unsupported device, for example a BlackBerry, it will show you a webpage. We take great pride in our work. If a bug is found after the release we will fix it, often at no fee, which many development companies will not do. We do this because we take great pride in our work and want to ensure it is serving the needs of your users. If you open the ink on your iPhone, Android, Windows Phone or BlackBerry it will take you to the appropriate app store. If you open that link on a desktop computer you will see a webpage with information about the app. Short links can be linked from your company’s main site and get all the power we offer in the QR codes but through these short links. We know that we are partners in making your app better. Over time the mobile landscape changes and we will suggest new features or design changes which will make your app keep up with the times. A good example of this is the Affinity Mobile Banking app which initially didn’t support security alerts through Push Notifications but was added later. Many of the app features we suggest are based on our deep knowledge of the app landscape. Also I should clarify that we will not suggest unnecessary features or features that will add no value to your app. We want to work with you on building the best app and sometimes a minimalist approach is best. These are just a few ways we try to help our clients and go above and beyond just developing the apps. We are always trying to make the experience better for the client and the app users themselves.